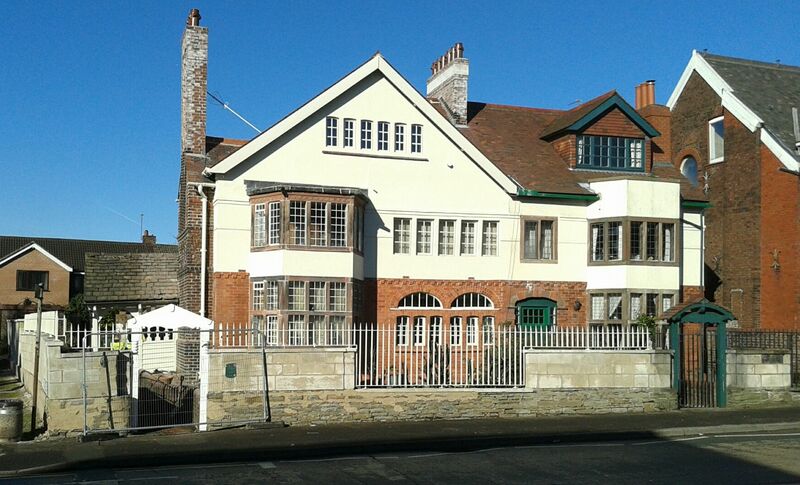 Edgar Wood (1860 – 1935) was a revolutionary Arts & Crafts architect, craftsman, conservationist and town planner. At the beginning of the twentieth century, he was considered the most avant-garde architect in England. He worked at the cutting edge of design and pioneered the art nouveau, vernacular revival and art deco styles of architecture. Edgar Wood grew up in Middleton, near Manchester. He married Annie Jolley, the headmaster’s daughter and he spent almost all his professional life in the town. However, in 1894, he moved his office to the centre of Manchester. From there, his reputation grew. As a youth, Edgar went sketching around the local countryside with his artist friend, Frederick Jackson. Fred became an en plein air painter and the founder of the Staithes Group of artists on the Yorkshire coast. Edgar became an artist-architect, a designer set apart from his commercial contemporaries who would not compromise his artistic standards. 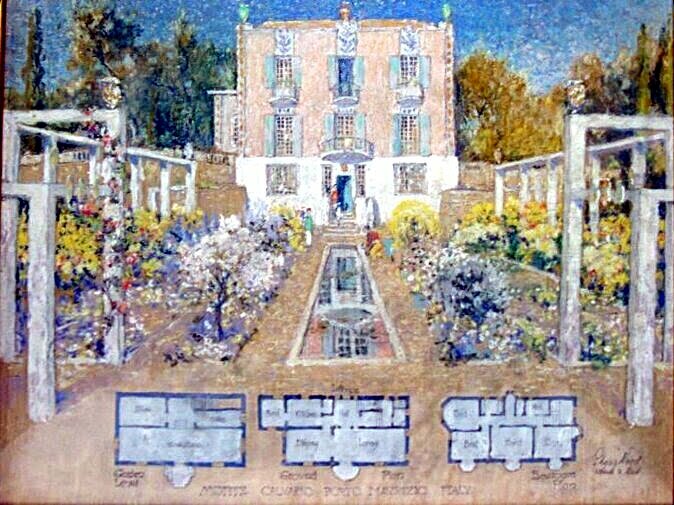 Edgar Wood was an all round Arts & Crafts designer, who embellished his interiors with beautiful colour schemes, furniture, stained glass and metalwork, often of his own design. 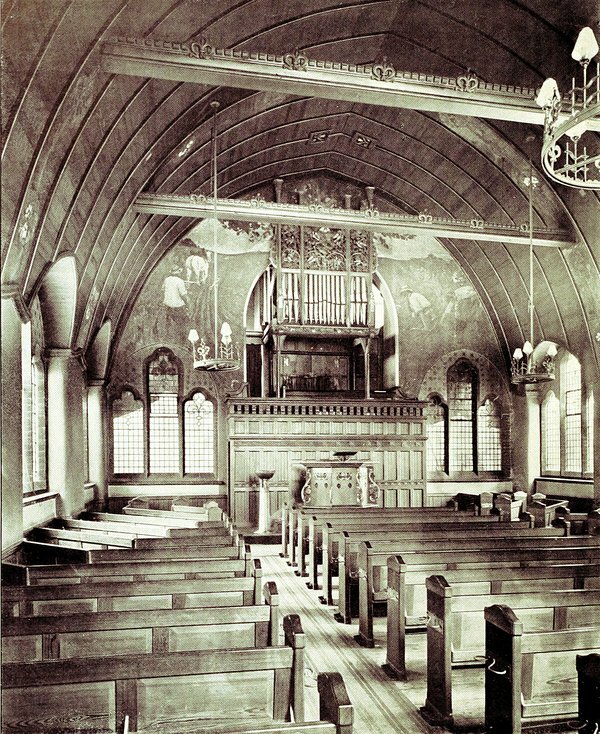 Edgar and Frederick worked together painting murals, such as at Old Road Unitarian Church (1892). 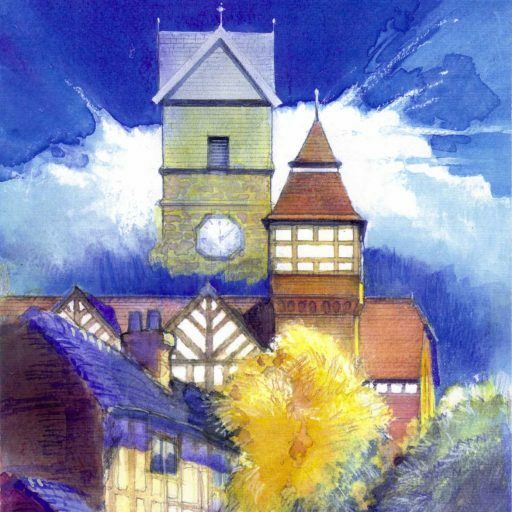 Edgar’s commissions came from his family and supporters in the small towns of Middleton, Lindley near Huddersfield and Hale near Altrincham. His work was too avant-garde for mainstream clients. Early designs followed a dual path, either urban art nouveau buildings in hard materials and bright colours or rustic designs based on the vernacular features of rural farmsteads, although not their actual appearance. His first home, Redcroft, Middleton (1891) is a good example which expresses the characteristics of its rustic materials in a new and vital way. During the 1890s Edgar’s work moved firmly towards textured vernacular buildings with a great sense of authenticity. Each succeeding design developed the ideas of its predecessor. He was on an artistic journey. 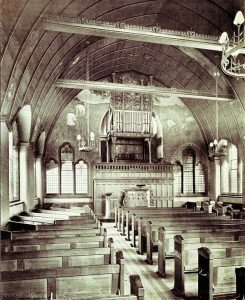 From 1899, Edgar began to receive larger commissions, such as Long Street Methodist Church and School, Middleton, Lindley Clock Tower and the First Church of Christ Scientist, Manchester. These buildings used the same rustic materials in a uniquely expressive art nouveau way. He created some of the most memorable buildings of his career at this time. However, shortly after their construction, he changed course towards a plain simple architecture, as if returning to basics. It was the prelude to a series of radically new buildings with flat reinforced concrete roofs, cubic forms and geometric patterns. These were the first examples of cubic modern architecture in Europe. Edgar’s first modern house,36 Mellalieu Street, Middleton, was designed in 1906 but the most influential was the much larger Upmeads, Stafford, built in 1908. They were part of a series of houses showing how flat roofed modernism could be adapted to various requirements. An especially beautiful design is Heathfield, Burnley (1908). 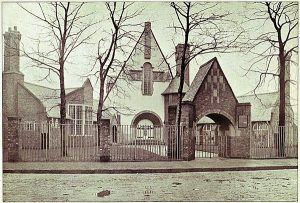 He even built a flat roofed school at Elm Street, Middleton, with his architectural colleague, J. Henry Sellers. 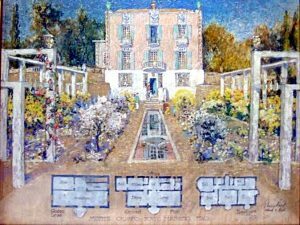 At this time, Edgar was part of the Garden Suburb Movement, alongside his friends Barry Parker and Raymond Unwin. 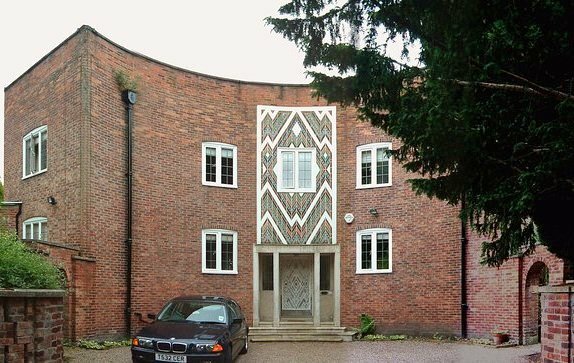 He designed an art deco entrance for their Hampstead Garden Suburb but it was, unfortunately, too radical to be built. Combining modern architecture with modern planning, Edgar formulated a formal style of garden suburb, which subsequently influenced the layouts of Welwyn Garden City and, ultimately, the centre of Milton Keynes. Around the same time, he led a campaign to save the massive portico of Manchester’s first Town Hall which was then being demolished. After a public appeal, he rebuilt it in a lakeside position in Manchester’s Heaton Park, where it remains today a striking monument. 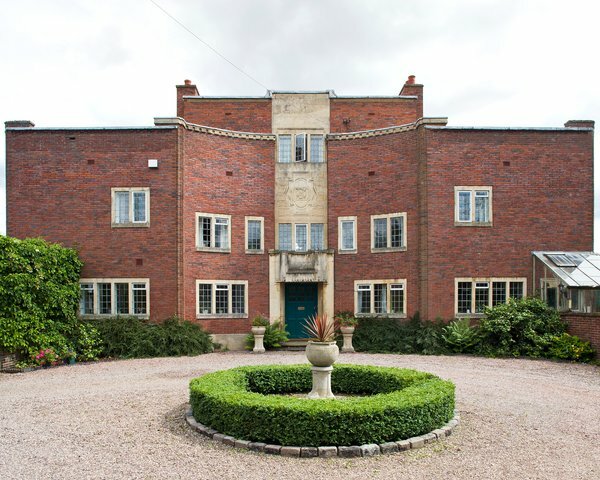 During World War One, Edgar and Annie moved to Hale, where he built their second home, Royd House. This was a modernist design almost impossible to conceive in 1914. The flat roofed house was symmetrically planned around a circular courtyard with a circular entrance hall. He spent the later war years quietly decorating its beautiful interiors and planting up its garden of exotic chevron patterns. Edgar retired from architecture in 1922. He moved to Monte Calvario, Porto Maurizio, Italy to become a painter of landscapes and townscapes. He travelled the Mediterranean and, as in architecture so in art, his work constantly evolved as he experimented with new ideas and various media. 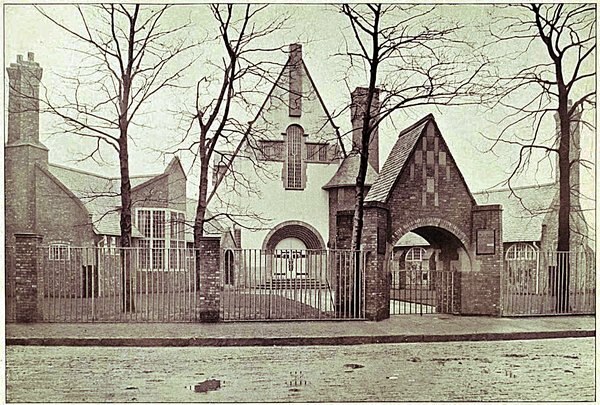 However, he never quite left architecture and assisted Henry Sellers in the design of Lee House in the centre of Manchester. This would have been the tallest building in Europe had it been completed. Edgar Wood died an artist climbing the Italian mountains for their beautiful light. He was buried at Monte Calvario near his artist’s home, the third house designed for himself. Throughout his life, Edgar Wood constantly sought new and advanced architectural expression in practical and well planned buildings and layouts. Today, he is regarded as an architect far ahead of his time. His early work was fresh and pioneering while his mature designs anticipated modern Expressionist architecture of the 1920s and Art Deco of the 1930s.